Dig a trench of a couple of feet long, 8” wide and 6” deep, cover the roots completely with damp crumbly soil, and your trees will be very happy to sit in that trench, until you are ready to take them out of the trench and putting them in their permanent planting position. That means giving yourself plenty of time to plant the trees, when you have got the time to do a good job and the weather is cooperating, for you to pay attention to the details of planting. Never forget that the soil is the tree’s permanent home. The better the soil is prepared for the transplanting operation, the better the tree will grow. Its food and its drink come via the soil. Transplanting for a fruit tree is the same level of stress as is the upheaval of moving house for us humans. 3) Plant fruit trees in a crumbly soil, which is essential for new roots to be able to access the soil’s nutritional store house of goodies. 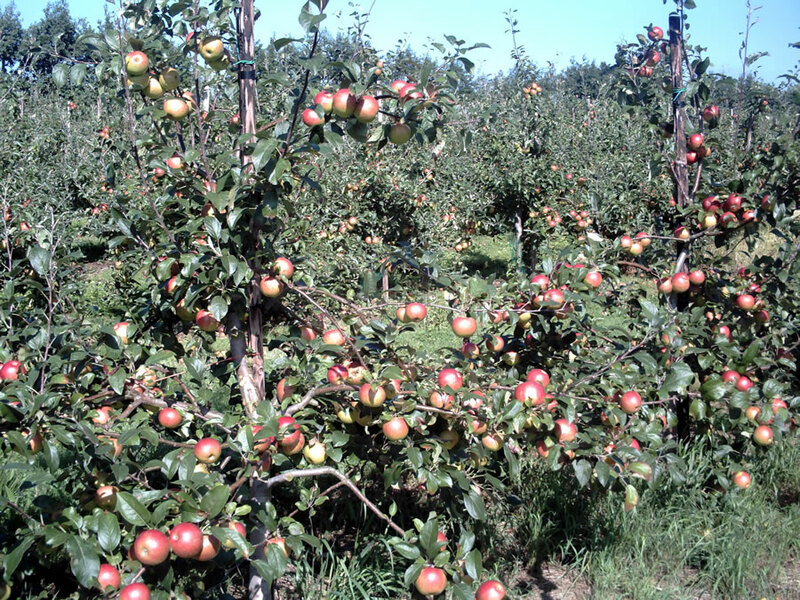 4) Don’t plant fruit trees in water or a waterlogged soil. The tree will suffocate as it cannot get hold of the essential oxygen for the roots to live and work properly. 5) Before you put the tree in the ground, knock in a good quality, six foot stake, so that the tree can become established well. 6) Take your wheel barrow and, in the wheelbarrow, mix your best topsoil with John Innes compost number 3 at a 50/50 ratio. 7) Put that wonderful mixture on top of the roots , move the tree up and down, for this mixture to filter in between all the roots, firm it gently, making sure the union of the tree is 5 cm above the finished soil level. 8) Apply a mulch of wet hay or straw, or better still well rotted manure around the trunk of the tree, without touching the stem, for an area of at least 1 square yard. 9) Remove all permanent grass and weeds in that area to start off with, for the tree to have the full benefit of the provisions you made. 10) In the spring, when the tree is beginning to show green, make sure your tree has the benefit of one watering can full of water, on a weekly basis, during its first year in your soil.